This is an art in itself and the good people who loaded this truck ought to be applauded. Its difficult to fathom how anyone could manage to do this, it is ingenious!!! 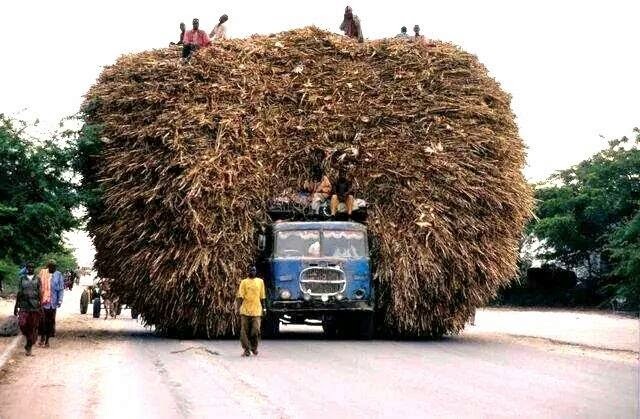 In Africa our panache is unrivaled, I have seen motor park loaders make a large quantity of goods disappear in a mini-van but I am yet to see any loading that beats this. Share you fun pictures with us, if you have any that beats this.